Several people contacted and ask if new Polaroid Originals has Instant Film for Hasselblad Polaroid Back. I did reply them but I couldn’t deliver any good news. None of new Polaroid Originals film types work with Hasselblad Polaroid Backs. So you can’t use Type 600, SX-70 or Spectra film. At least not for those old models. But I don’t think most of our Instant camera fans don’t even know what is Hasselblad. What are these Hasselblad cameras ? Victor Hasselblad is a Swedish medium-format, insanely expensive camera manufacture.All photos taking during Apollo moon landing missions are taken by modified Hasselblad cameras. 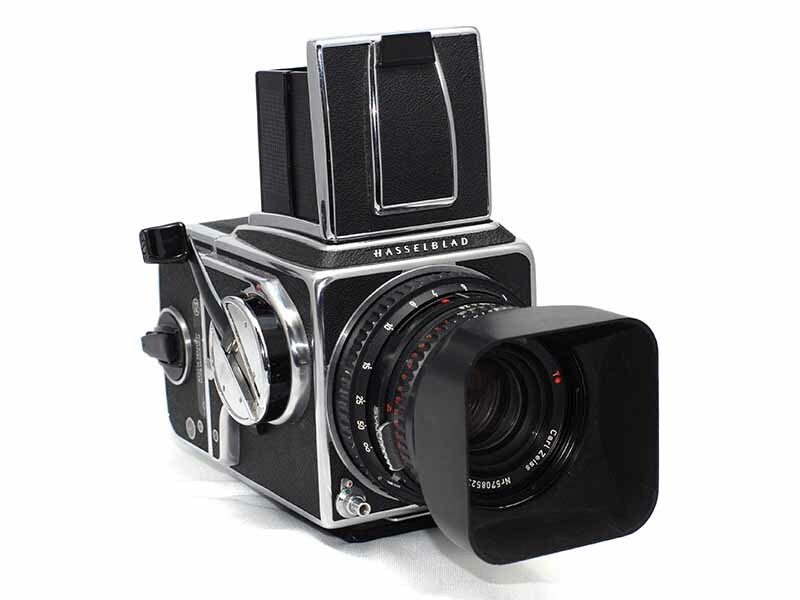 These Hasselblad cameras are renowned for their iconic design, uncompromising image quality, and high performance. Plus extremely expensive price tags. Hasselblad H5D-60 Medium Format Digital SLR Camera cost you 40,000-45,000 ( check Here ). You can Find the price of a Hasselblad compact digital camera (Hasselblad X1D-50c 4116 Edition) Here. What is a Hasselblad Polaroid Back ? Hasselblad camera owners use these Polaroid backs when they do high end photo shoots, as proofs or as a light meter in old times. There were 3 popular Hasselblad Polaroid Backs. Polaroid 80 30120 – Uses Type 80 Film. Polaroid 100 30198 – Uses Type 100 Film. 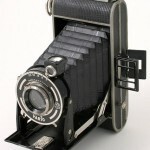 PolaPlus 30200 – Uses Type 100 Film. Unfortunately you can see there is no type 600 backs. So None of these Polaroid backs can use any of those new Polaroid originals film. The only alternative out there is Fujifilm FP-100C 3.25 X 4.25 Inches Professional Instant Color Film (You can get from Amazon Here) which can be used as Type 100 Film. Remember all these are used in old 500C/M camera models, not in new digital cameras. But these days nobody need an Instant back for checking light or check proof. Even Hasselblad has gone digital so no need of these. Instax Film Hasselblad back ? There were several Kickstarter projects out there for creating a Hasselblad back which take Fujifilm Instax film but all failed and terminated. Rezivot Instant Film Processor, The one everyone thought going to successful was cancels in November 2017. They were trying to use new Fujifilm Square film for the project. There isn’t a big chance having one of these project reaching production level because there won’t be enough buyers to make it profitable. Only viable option is creating a back which can be used for any brand or type of camera. This would be an extremely difficult task. Maybe Polaroid Originals will consider about building an all purpose Polaroid back. It will have a great demand among photographers. Right now they are trying to focus on cheap instant camera models but a product like this might be even more profitable than instant cameras. 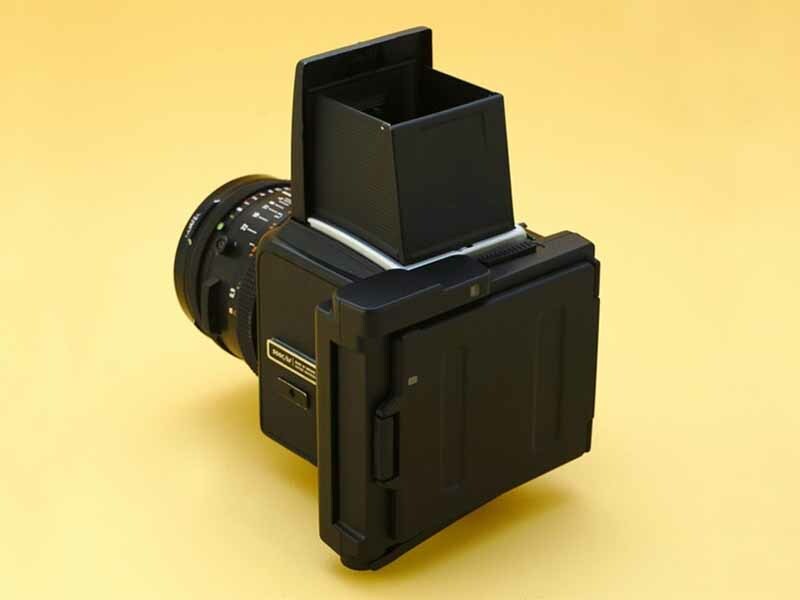 So are there any Hasselblad Polaroid Backs for new Polaroid Original 600 Film ? 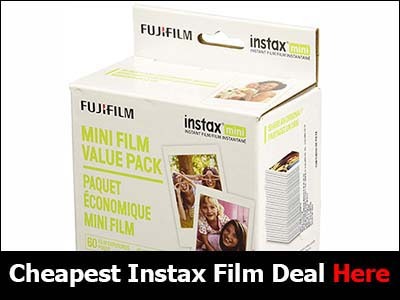 or Even for Fuji Instax Mini film or WIDE FILm ? I can’t find Hasselblad Instant Backs anymore in Amazon or other online camera stores. It seems all of these are gone .. I don’t think so. I haven’t seen any kind of Hasselblad instant backs for a while now. I don’t think anyone find it profitable since there aren’t that many Hasselblads around. I guess those who have this cam should just use a good instant camera for spot testings.